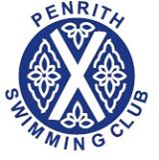 Unless otherwise indicated, all contents of this website is Copyright Penrith Swimming Club. You may not redistribute the contents of this site in any way without permission in advance. We take the safety of swimmers of all ages very seriously. We will endeavour to comply with all appropriate guidance with regard to the use of photos of swimmers on this website. If you have any concerns about any photograph please contact the webmaster. If you wish to make any use of a photograph please contact us in advance. Any personal data collected through this site will be used solely for the purposes of allowing access to the site and membership and will not be passed to any third party or used for any other purpose without prior permission. If you require further information, please contact us on our Contact Us page.